Nancy Berwid’s First Take Acting Program provides a holistic approach to acting. Along with a Method that students can use to hone their craft, Nancy provides a keen eye for logic, a sensitivity to human behavior as well as the human heart. She posseses a great understanding for the human experience which she ultimately uses to guide her acting students in performing their scene as true to life as possible. Belonging to a family closely involved in the Hollywood industry, students can benefit from learning the business aspects of acting as well, a knowledge imperative for any actor desiring to break into the competitive LA film and television market. Nancy’s candor, coaching and genuine interest in the careers, lives and well being of her students have strongly contributed to the on-going success and growth of her students. She approaches teaching from a comprehensive standpoint, covering topics that many other acting classes of this nature gloss over or neglect entirely. Many of these aspects are what set First Take apart and have proved fundamental to its success as the choice acting school in San Francisco. Students are given the overall structure at the beginning of each on-going eight week session of classes and trained in the consistent application of the First Take Method. A technique that provides students a set of unique tools to dissect the few pages of material that would usually be given to them in an audition situation and make it come to life realistically and believably. This unique approach has contributed to the consistency, depth, and complexity of students’ work. In her acting classes, Nancy provides a no nonsense, realistic overview of the acting business. As much as aspiring actors like to focus on craft, acting is also a business. Nancy is well aware of how important this is to an actor’s career. Actors can take advantage of her wisdom, including how to pick a perfect headshot, how to format resumes, how to get seen by casting directors, and other important information for the LA market, such as tools for marketing their acting career. This is one of the often overlooked, but crucial elements to real success in the LA market. Nancy provides information and coaching to develop and enhance essential networking skills. She covers the DO’s and the more important DON’Ts of engaging in and maintaining the ever important correspondence and marketing skills an aspiring actor must have to be successful. Few other careers are as competitive or elusive as acting. As with most creative endeavors, there is a huge emotional investment an actor makes when he or she decides to pursue this path. It can be daunting on so many levels. Many actors move to LA prematurely to follow their dream only to find they are isolated and unequipped with the support and coping skills needed to deal with rejection and uncertainty along the way. Though they may be marketable or possess talent, they may not have access to the proper network or level of skill to get them in the door and on to the next level. Nancy emphasizes the extreme rarity of super-stardom and encourages students to embrace the journey and passion of the craft through acting classes rather than the end result. She focuses on preparation and realistic goal setting for each individual given their marketability and skill set. On both a group and individual basis, she helps her students to recognize the realities of the business, advocating they develop other aspects of their lives. Many students find through the pursuit of acting in the First Take Program that they grow not only as actors but as people. Acting compels the individual to seek out the truth about themselves, to reflect, ponder and remain present. Magic happens the moment an actor begins to live in the moment and experience the beauty of his or her own spontaneity. First Take students enjoy a unique culture and camaraderie with one another. More often than not you will hear a student comment on the friendships and support networks he or she has built while attending on-going acting classes. At First Take Acting school in San Francisco, Nancy has created an environment of equality, humility and above all respect amongst peers. There are no hierarchies or rankings, therefore ensuring a safe and inviting learning atmosphere. Acting is challenging enough without the additional pressure of competition amongst friends. 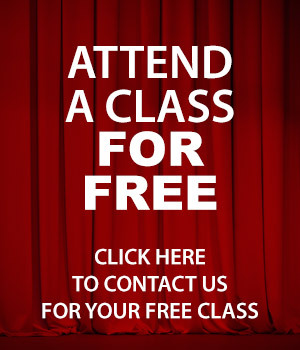 Students are encouraged to find their own unique gifts and cultivate them, in and out of their First Take acting classes.